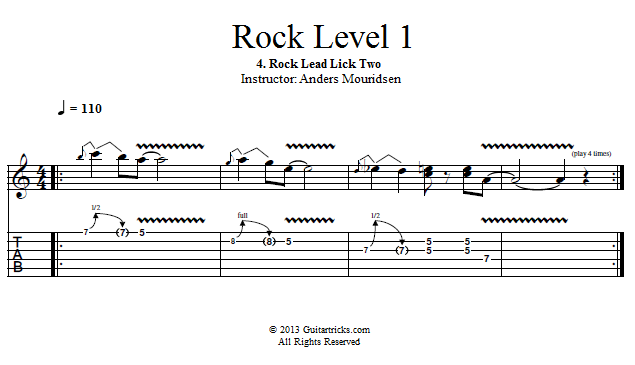 In this lesson I'll show you the second rock lick that we'll be using today. This lick is based on the notes of the A minor pentatonic scale, but it's borrowing a note from the regular minor scale. This interval/note is most often called the "9" referring to the scale degree, and it has a cool and slightly jazzy sound. Once we've gone through and practiced the lick note-for-note, we'll practice improvising with it. 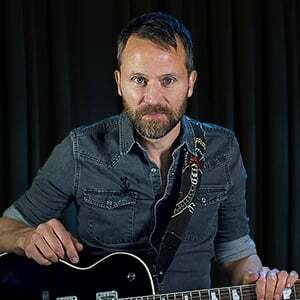 Remember that you can use the major sound by moving the lick down 3 frets, if you feel like it!